Courtesy of Melissa M Daniels, NVR Services, Inc..
Make homeownership a reality. 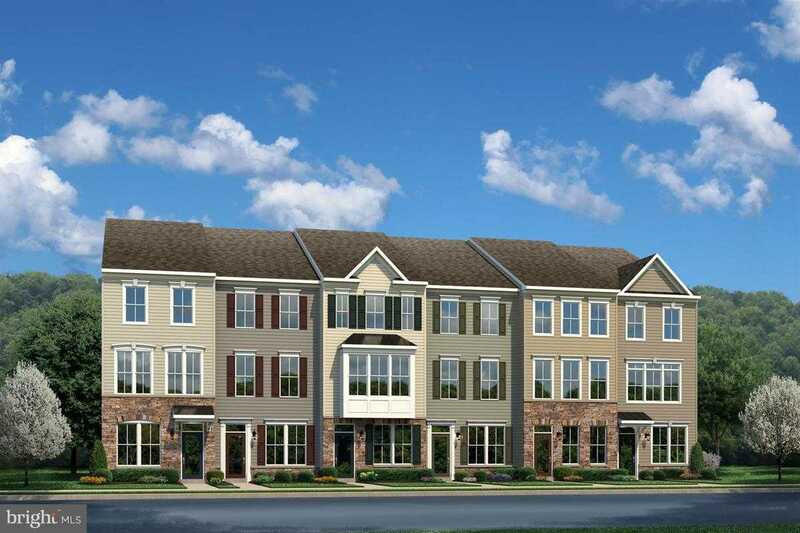 Own a 1-car garage townhome with 3 bedrooms, 3.5 baths at GREYSTONE by Ryan Homes. Greystone is less than 20 minutes from Baltimore and just 5 miles to BWI. Come and view our Gorgeous Clarendon Floorplan! Never has convenient townhome living felt as luxurious as it does in the Clarendon; and with so many customizing options, it is sure to fit your needs. Entering on the lower level, you will have a bedroom, full bath, walk in closet and one car garage. Home is interior withmaple espresso kitchen and bath cabinets carpeted stairs and so much more! Ascend to the main level and you will find yourself in a welcoming and light-filled open floorplan, more spacious than you thought possible in a townhome. A gourmet kitchen creates a sense of warmth and unity, while the dining room gives a perfect place for entertaining. A huge family room can be furnished in the way that suits you best; while a large coat closet and powder room are tucked away but convenient for guests. Don’t forget to add the optional deck and bring outdoor living to your home. Upstairs the feeling of space continues with a large hall foyer. The owner’s bedroom is an oasis and features a large shower, dual vanity, and walk-in closet. A second bedroom also features its own bath. Images are representative only. Please, send me more information on this property: MLS# MDAA101164 – $312,990 – 7521 Mundell Road, Hanover, MD 21076. I would like to schedule a showing appointment for this property: MLS# MDAA101164 – $312,990 – 7521 Mundell Road, Hanover, MD 21076.